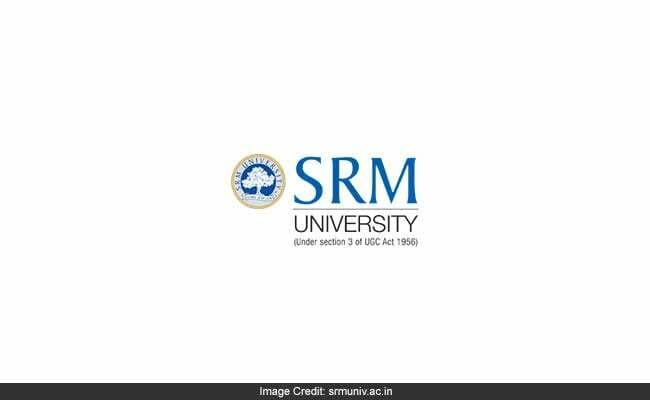 The upcoming SRM University in Amaravati, Andhra Pradesh, has said it has signed an agreement with Massachusetts Institute of Technology (MIT) to license course materials. The university has begun working with MIT for the design and development of curriculum through the use of MITx courses, free online courses from MIT, according to an official statement. Washington: The upcoming SRM University in Amaravati, Andhra Pradesh, has said it has signed an agreement with Massachusetts Institute of Technology (MIT) to license course materials. The university has begun working with MIT for the design and development of curriculum through the use of MITx courses, free online courses from MIT, according to an official statement. "These courses will incorporate the concepts of hybrid learning by utilising both traditional and technologically-enabled teaching methods," the statement said. "SRM is embracing a new method of learning, not before seen in India. We will emphasise practical and application-oriented learning via projects and lab courses rather than monologues that are the typical feature of our classrooms," said P. Sathyanarayanan, President of SRM University, Amaravati. To ensure the effective delivery of these courses, the faculty of the university will participate in annual design camps to learn techniques to blend MITx free online courses and MIT OpenCourseWare (OCW) course material with relevant local content into the courses offered. "Developing research-led universities is fundamental to the progress of the state and the nation. We aim to do just that by bringing solutions to the problems that plague today's world," says Dr. Narayana Rao, Pro-Vice Chancellor of the university. The university aims to eventually grow from being engineering centred into an integrated multi-disciplinary institution offering courses in management, law, medical sciences, pure sciences and liberal arts.